Dr. Berger graduated from Columbia University. He received his medical degree from the Albert Einstein College of Medicine. He completed his internal medicine and rheumatology training at New York University-Bellevue Hospital, and is board certified in both specialties. His research on Transfer Factor was presented at the American College of Rheumatology meetings. He is treating rheumatic diseases with approved new therapies, including biologic medications that slow down or stop disease progression and damage. Additionally, he sees patients for osteopenia and osteoporosis management. 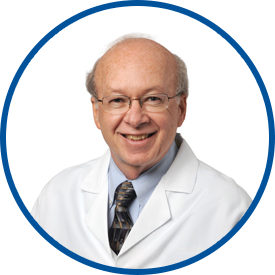 Dr. Berger was named in New York Magazine’s issue “Best Doctors in New York” for rheumatology. He is section chief of rheumatology at White Plains Hospital. Dr Berger is probably the most considerate, thoughtful and knowledgable doctor I've ever visited. His bedside manner, listening skills and concern for the patient are second to none. Dr. Berger is the best in his Profession. He truly means a lot to me. He was instrumental in prolonging my life. I am very fortunate. I was very impressed with Dr. Berger. Recommended to four of my fellow worker. Dr. Berger is the best doctor ever. He is always caring and understanding of my health care issues. *Dr. Berger is what every physician should be - thorough, personable & so easy to communicate with. We are totally confident in him. I've been seeing *Dr. Berger for many years to treat my arthritis & have been satisfied with his care.